If you think that this is no longer relevant, think again! We examine the big picture that includes tens of thousands of years, and not merely our present puny window of time! Also, a great many Biblical events previously overlooked are examined. 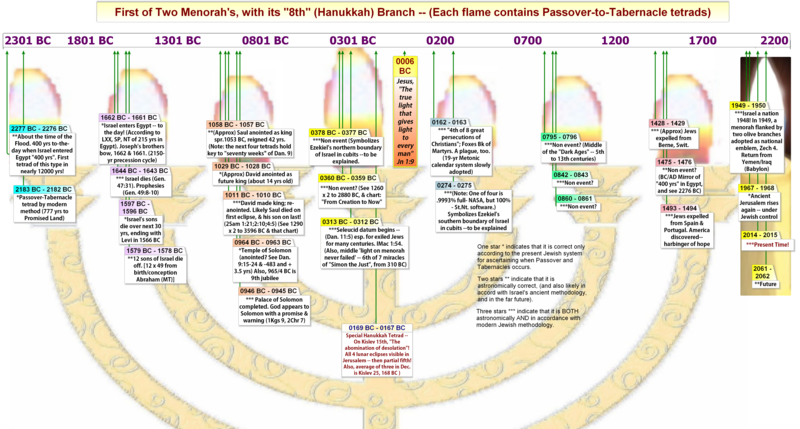 Blood-Moon tetrad cycles that occur on Passover and Tabernacles, over many millennia. Remarkably, our present narrow window of time is the center of a much larger pattern that spans tens of thousands of years. Did you know that the very first tetrad occurred about the time of Noah’s Flood? They follow the theme of Joseph’s dream of ‘the sun and moon bowing down to him’, (Gen.37:9;43:26, and ‘to Judah’, Gen.49:8). ‘Blood-moon eclipses’ symbolize this humbling, and the blood speaks of suffering, (Isa. 13:10). (Click to enlarge.) 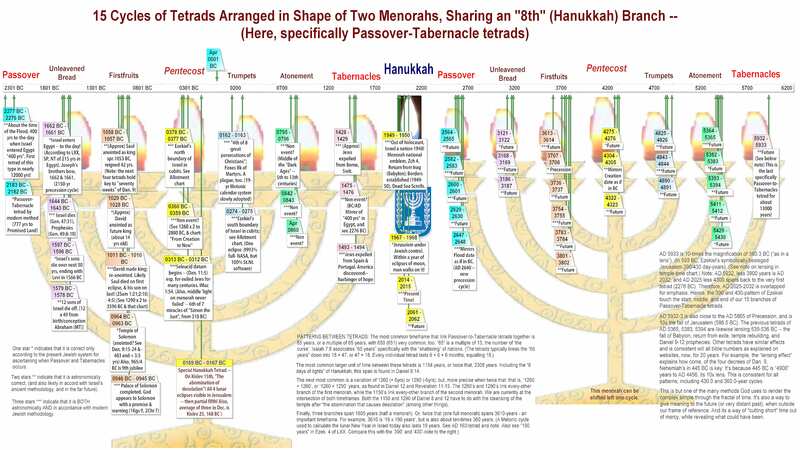 First half of all Passover-Tabernacles Tetrads up until now within the present Tetrad cycle. Here they are arranged in the likeness of a lamp (menorah). 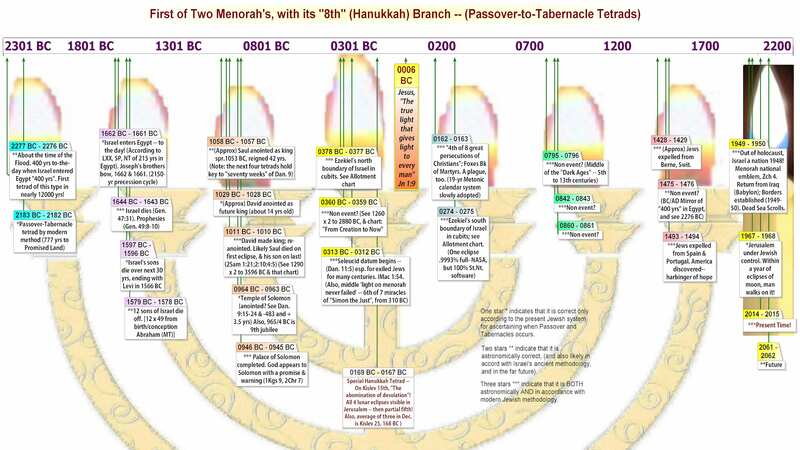 The below chart contains all Passover-Tabernacles Tetrads, including distant past and future. Notice that we are currently in the exact middle of one single massive 8000-year cycle. The arrangement of these long cycles logically take the shape of two menorahs! 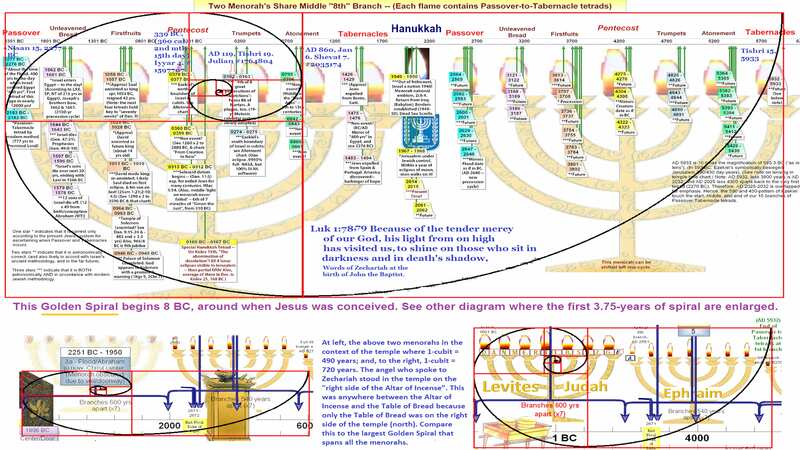 All Passover-Tabernacles tetrad cycles within present cycle, including distant past and future. The below chart examines one of many “Golden Spirals” (Phi Spiral) formed. This main one spans ALL Passover-Tabernacle Tetrads (2277 BC to 5934 AD), with the birth of Jesus near the source of this spiral. (Click to enlarge.) “Golden Spirals” (Phi Spiral) formed. This main one spans ALL Passover-Tabernacle Tetrads (2277 BC to 5934 AD). The below image is the same as above, except now it zeros in and focuses on the beginning of the above Phi Spiral as it coils around the time of the conception of Jesus. Therefore, the Phi Spiral emphasizes the importance of this tiny time period over the full 8000 years, and it happens to exactly correspond to the life of Christ! Remarkably, there is another spiral similar to this, except the source shifts to when Jesus left this world at His ascension! (Click to enlarge.) The blood-moon tetrad-cycles as seen over vast ages. It harmonizes with the vision of the temple given to Ezekiel, (and with fractal geometry). This, and other charts, are fully explained in the main article. (Click to enlarge.) 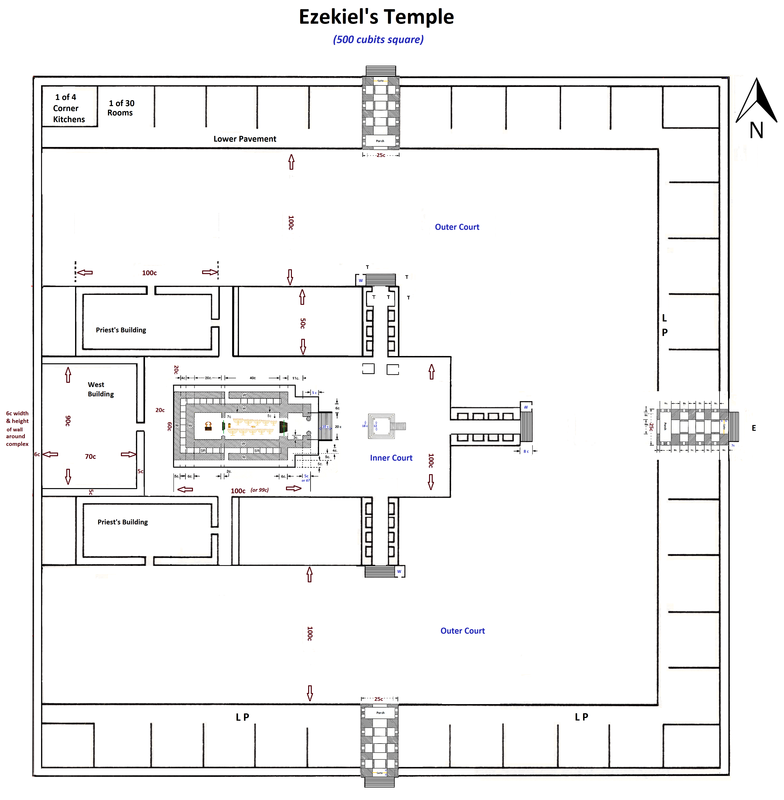 Ezekiel’s temple contains blueprint for the outline of the ages. The lesson to be learned from these Blood-moon tetrad cycles is that they reveal God’s larger plan over vast spans of time — past and future. They reveal “The Temple of Time“. 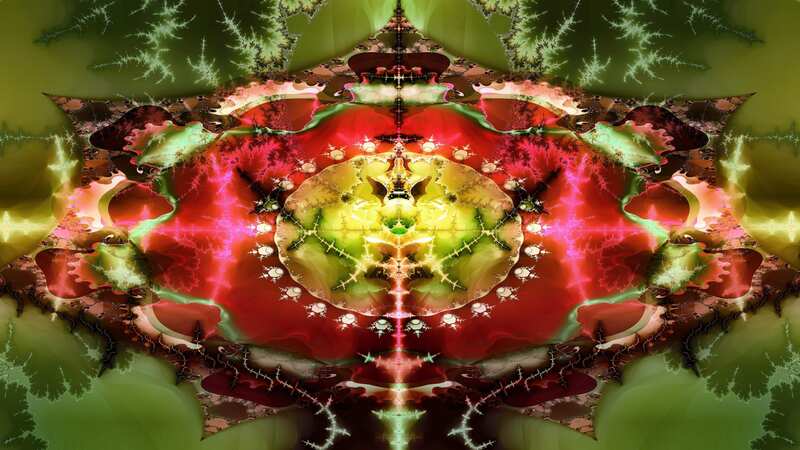 This sets the stage for the related revelation of the Bible Fractal, which uses the same time frames. Copyright © 1997-2017. If reproduced, provide hyperlink back to this page.